This coming Sunday, I'll be running my 2nd half marathon in the town of Pak Chong, Thailand, near the lovely Khao Yai National Park. 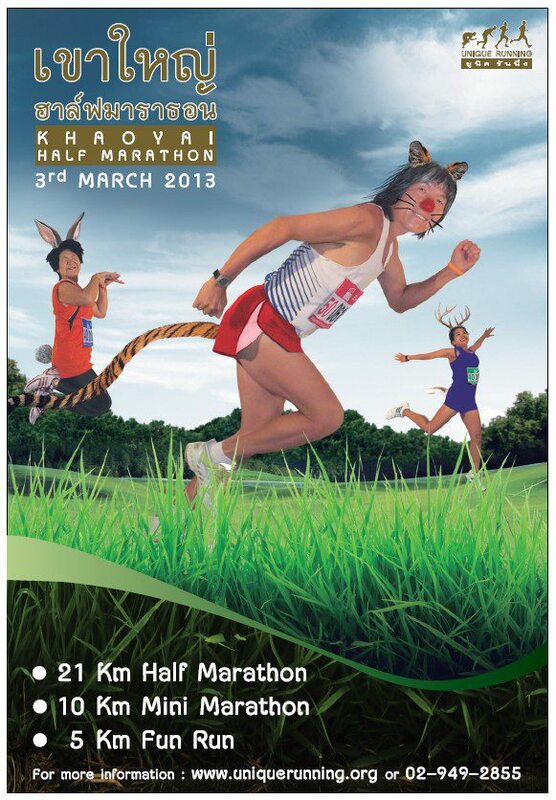 I'm already a little nervous but excited to join my fellow Bangkok Runners in the event. Half marathon training schedules contain a mix of long slow runs and shorter, faster efforts in order to prepare you both for lasting the full 21km (13.1 miles) and doing so as fast as you can without injury. Some also contain cross-training days, which could consist of swimming, cycling, circuit training or other non-running fun. Here, here, and here are some examples for beginners. Looking at the schedules made me think of athletes that champion these different types of training and about how sprinting vs marathoning vs doing other activities affect the human body. And about which type of physical development might be better for fitness? 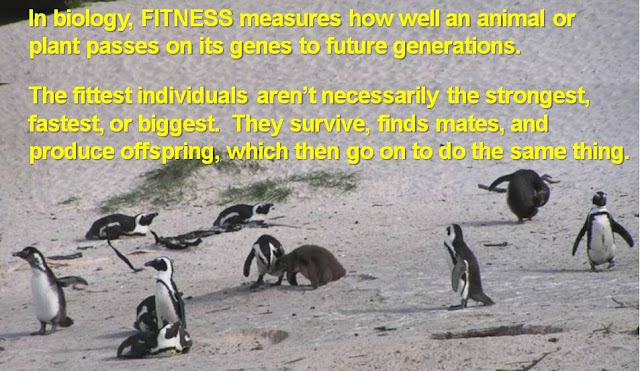 A long time ago, your physical condition was IMPORTANT for eating (hunting + scavenging) and escaping dangers such cold, heat, and predators, so are we naturally sprinters or marathoners? Turns out, we are both. Humans have evolved to run at a reasonable speed with excellent endurance, despite how you feel halfway through your long run or circuit training session! OK, actually, our ancestors' sprinting capacity was laughable compared to that of their fellow mammals, and even now, despite training, world-class human sprinters cannot compete with the champs of the animal world (think cheetah, gazelles or other zoomers of the wide-open African plains). There are of course, differences between individual people. Genetics and training for different sports both contribute to different body types and associated performance. Human muscles are primarily fast-twitch or slow-twitch. Fast-twitch muscle fibers can produce small amounts of energy very quickly whereas slow-twitch fibers can produce large amounts of energy slowly. Guess which is best for sprinting and which for long-distance movement? So naturally faster sprinters have more fast-twitch muscle fibers, and they were probably fast as kids! Apparently, they also tend to have longer toes and a unique ankle structure, with which they can push off the ground and accelerate faster. distance runners are always recovering, and their higher levels of cortisol hormone makes it harder to put on muscle. distance champions do develop amazing aerobic systems and lung capacities, while top sprinters build up strength and an amazing ability to generate force fast. running longer distances at a slow pace allows runners to build up a base fitness that enables them to add in faster-paced interval workouts later on. 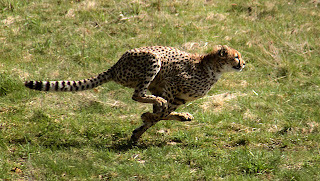 Sprinting requires powerful legs, even in cheetahs. Dr. Alan Wilson of the Royal Veterinary College UK, studied cheetahs and greyhounds and determined that the speed with which an animal brings its leg back into position appears to be one of the main determinants of speed. The faster you can reposition your leg, the faster you’ll move. Lightweight racing shoes might help, as “Having less weight in the lower portion of the leg aids in swift repositioning” of the limb, Dr. Wilson says. More importantly, the swift leg turnover requires power. “Compared to the greyhound, the cheetah has bulky upper legs,” Dr. Wilson says. These strong thighs allow cheetahs to pump their legs more rapidly than the greyhounds can. So keep working on those thighs. In fact, if you comb through the cyber athletic universe, you'll find numerous comparisons of the respective fitness of human sprinters vs marathoners and why one should train explosively. These photos are revealing in the difference in muscle development between the two body types, but training is only part of the story. 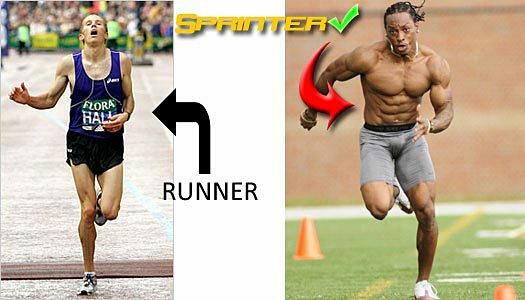 While these photos are nearly always posted on web sites of personal trainers and promoters of cross-fit workouts and paleo-diets who are fans of high-intensity exercise, there are physical advantages to being small and thin for running long distances, for being larger and stronger for rowing, swimming, and, probably, sprinting. Have a look at this Stronger Runner post from an ex long-distance competitor turned fitness guru and think for yourself when training. Specificity will improve your performance for a given sport, but some cross-training will complement your main sport training and help balance your physical and mental development. So long as you are able, try some sprinting AND some longer distance. Be sure to warm up first. The running and using such action require some sort of accurate performance by some species. They run according to their life style, Horse Zebra and leaped run according to their life style like as a essay service. Human Being makes it better by training process. The better muscle makes it easier for running.